It’s always about this time of year that the urge to explore comes back in full force for us. It seems like yesterday that Jaime was venturing through South Africa, and Jacinda was hiking through the Black Hills of South Dakota. In the meantime, while we dream of where to jet set to next, we find all the inspiration we need from beautiful maps of the world. 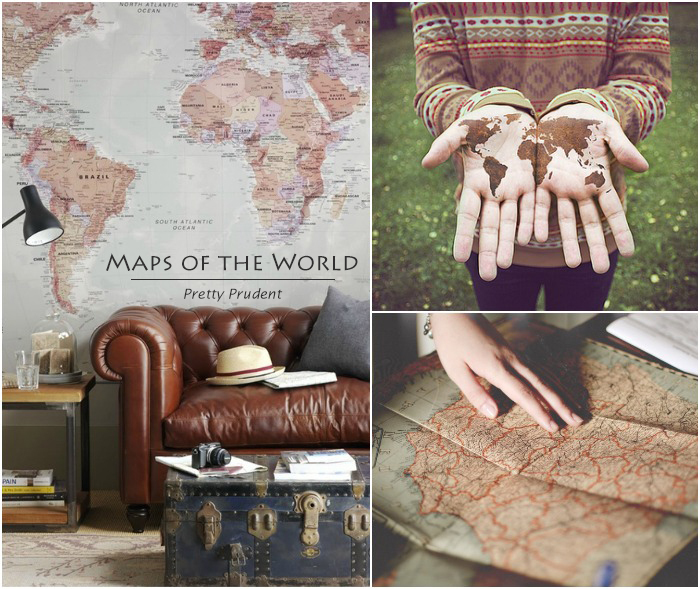 Whether it’s a coffee table book, scratch off map (my favorite), or even duvet cover, these glorious globes can be just the ticket for stunning home decor and surprise adventures. 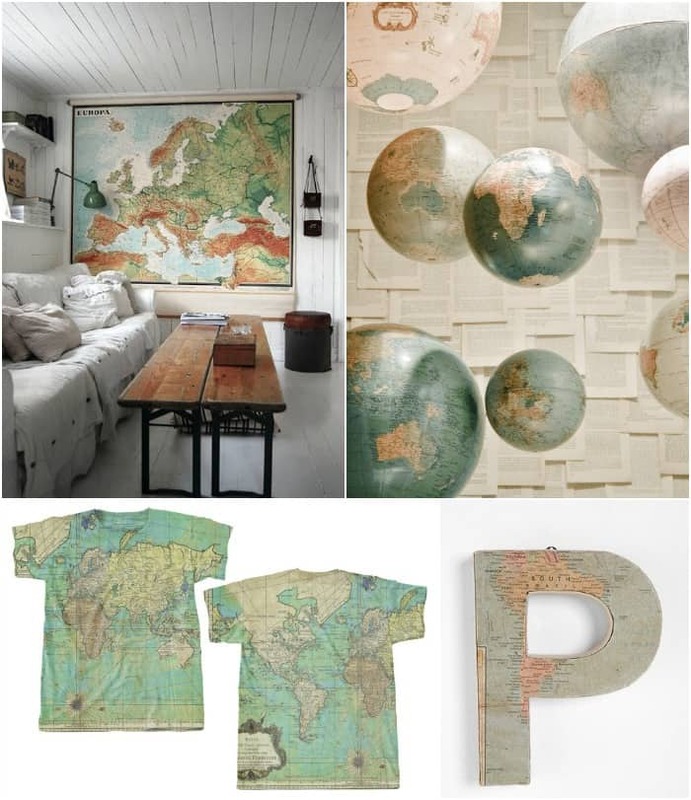 Cover a blank wall with a world map mural from World Maps Online. Mark off where you’ve traveled to on the scratch off map from Urban Outfitters. Fill an empty corner with the steampunk-inspired globe from Lamps Plus. 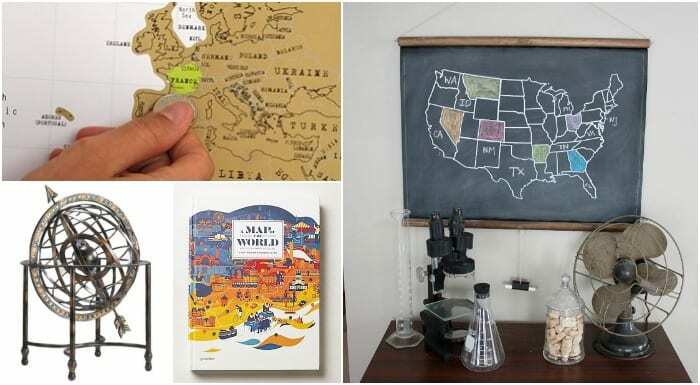 Set a copy of A Map of the World from Anthropologie on the table as a new and colorful coffee table book. Hang a chalkboard map from Dirtsa Studio and let the kids color it in. Get cozy under the colorful globe duvet cover from Urban Outfitters. 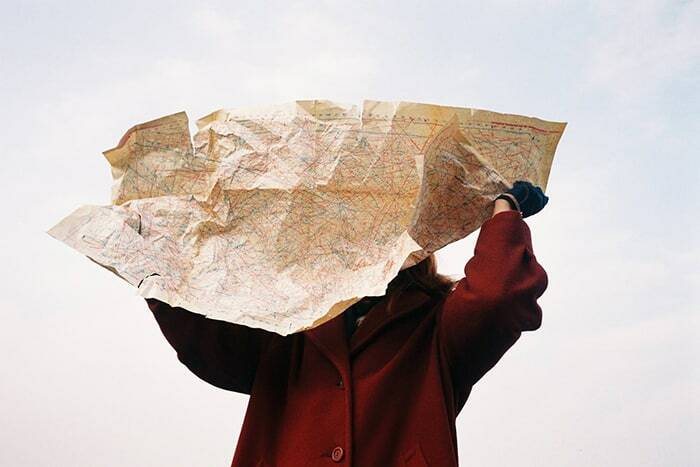 I like to use this map photo as inspiration for places to put a map in my house. Hanging it above a clothing rack is lovely and unexpected. Keep your eye out for a vintage map you can hang in your room, as seen here. When you want a change of scenery you can easily just roll it up. Use this photo of globes to inspire you to create a world globe collection like this one from Cakies on A Beautiful Mess. Pre-order the cute world map top from Googoo & GaGa. Add the finishing touch to a room with an Around the World Letter.